Another year of the Consumer Electronics Show (CES) in Las Vegas, Nevada has passed. Meetings were held, products were displayed, money was made, and opportunities were lost. In such a technological age, it’s crazy to think that opportunities were missed because of malfunctions and screw-ups. But inevitably, a computer will crash or a document won’t save properly, and a potential client will be left scratching their chin wondering why Randy, the PR guy from 21st Century Microwaves, worked so hard to try and access a PDF that turned out to just be a mislabeled grocery list. No one wants to be Randy at the biggest technology trade show in North America. 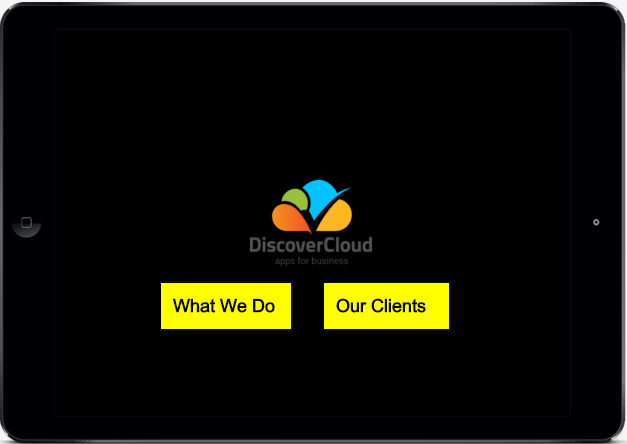 In the last few years, companies have formed to create cloud-based solutions that provide a platform on which managers and sales representatives can access important information, demos, brochures, and presentations on any device, from anywhere in the world. Founded in 2011, Showcase Workshop makes it easy to create, collaborate and share presentations, demos and brochures. Targeted towards marketing managers, it aims to give you the ability to easily create and brand presentations for your sales team, potential clients, and just about anyone else you can think of. We’re talking millennial Don Draper status here. Signing up for a 14 day trial through the Showcase Workshop website is as easy as blinking. They don’t ask you for your credit card, home address, date of birth, dogs name, or any number of other things you usually get hassled with when you’re just looking to take some software for a test drive. Once signed up, you can use the full set of tools to create your own Showcase and share it with anyone for a total of 14 days. As soon as you log into your account for the first time, a video will appear on the screen showing you how to get started. As with all short tutorial videos, I’d suggest watching it and taking the tour. The Showcase Workshop team has spent time on making the UI and UX as clean and intuitive as possible, and this becomes clear right from the get go. For navigation, you’ve got six tabs on the top of the page (provided you’re the Admin of that Workspace). The first tab, Portfolio, shows you any and all Showcases within a given workspace. 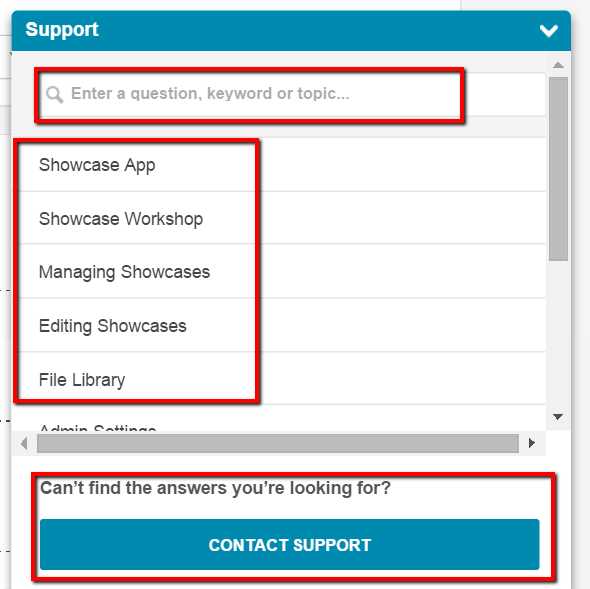 The second, Viewer, is an option for viewing your showcase presentations online (great for those who don’t have a tablet or smartphone at their disposal) and this tab can be seen by all users regardless of their status if they log into Showcase Workshop. The third tab is Files, and this brings you (and any Admin or Workshop users within your workspace) to the file library where they can quickly access all of the media (pictures, videos, documents etc) that was uploaded and share to the workspace. The Users tab allows you to add new users via email, change permissions, etc. The Settings tab lets you customize emails, workspaces, and offers subscription upgrades/downgrades. And the final tab, Reporting, gives the Admin access to all sorts of stats and analytics about a particular workspace. So if you’re looking to navigate, look up, and you’ll find what you need. The workspace is where it all goes down. You, as the Admin, have the ability to create and manage workspaces, and create users and groups of users to add as recipients of projects that are published within that workspace. Workspaces are especially useful for graphic designers who are handling multiple clients and need to swiftly move between companies and projects. For example, if you were a designer handling multiple projects, you’re able to just start another Showcase in the same account and published it to a different set of users. Showcase Workshop provides a demo Showcase to give users an idea of just what it is that they can do with their own presentation. This is fantastic as it shows users the full extent of the application’s capabilities. To create your first Showcase, just click “Create New Showcase” and voila, your first set of options for creating your own project appears. The pre-made templates come in a variety of configurations with regard to the placement of customizable buttons. But while there are lots of templates, it’s important to note that they’re all very similar. Besides a few spacing and color differences (e.g. a large red header in one, and a small green header in another), there aren’t any noticeable changes across each template. But I do think the team could get a bit more creative when it comes to the creation of templates. 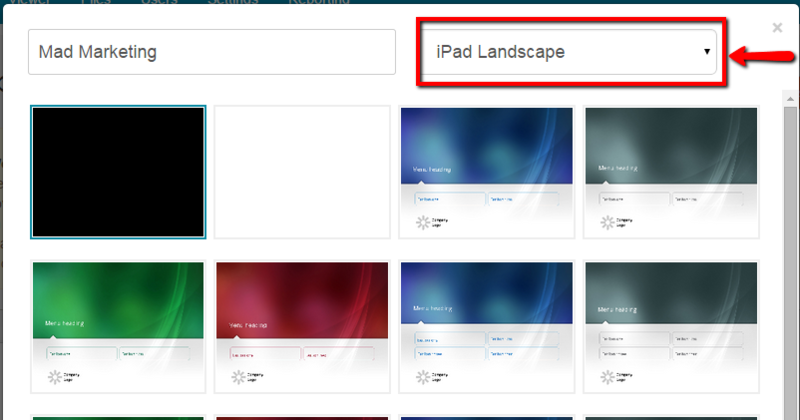 Alternatively, you can choose to start your Showcase with either a simple white or black template. Regardless of which route you choose, branding each presentation you create is one of the coolest aspects of Showcase Workshop. You’re able to fully customize every brandable feature you can think of, from the background, to the logos on each page and the buttons. Really, the only time you would know you’re running the program would be when you open it up. The included features are actually well-tuned for graphic designers who need to produce highly detailed and branded Showcases for their company. The whole background acts as one JPG, which makes for an incredibly awesome branding experience. Pretty unique. 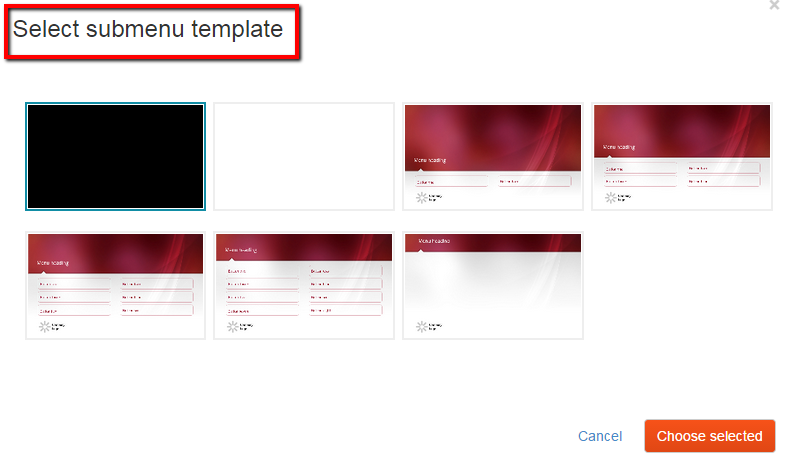 As a bonus, users can upload their own custom made templates and fonts and apply them where necessary. I’ll elaborate more on that a bit further down. The Versatility of a Button: Who Knew? Buttons are essentially the backbone of any Showcase Workshop presentation. Within each button, you’re able to inject content making your presentation go deeper and deeper (more on that in the section below). And there’s no shortage of customizability with regard to these design features. For example, you can decide you want one half of your page to be an entire button, or the button itself could be a translucent image of a light bulb with the words “Click on me to view product description” overlayed on the background image you customized. Tons of versatility here. So after you customized your buttons with pictures of gumdrops and candycanes, you can then proceed to select what comes after you click on the button. Users can easily insert images, videos, documents, PDFs, Excel workbooks and submenus. Each time you create a submenu, you’re giving viewers a whole new realm of content they can access within your presentation. So if you’re a marketing manager with a long list of things to teach your team, let the submenus flow. To retrieve the information entered into a Showcase form, go to Showcase Workshop and to the “Reporting” tab, then the “Forms” sub-tab. You can download the submitted form data as a .csv and then import it into your company CRM. Showcase’s built in forms also work offline. The second way to add a form is done by embedding a URL that will connect your Showcase to a third party form creator, such as Google Forms or your CRM (provided it has that capability). Obviously, this technique will only work when you’re online, so the form cannot be accessed when using the Showcase Workshop app offline. 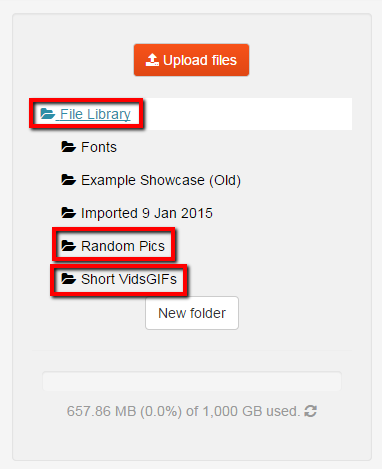 The file library allows you to access and organize any and all media files uploaded to the platform. The media files currently in the library are sorted together in one big batch, however users have a convenient way of sorting the files based on file type (documents, pictures, and videos all have their own tab) or name. Furthermore, you can type the filename in the search box to easily search for it. Users are not just limited to documents located directly within their computers internal storage, they can also go directly to their Box, Dropbox, Google Drive, and OneDrive accounts to retrieve necessary files located in the cloud. Awesome feature. With regard to the organization and management, the file library basically acts like any other folder you’d find on your computer. You can create folders, reorganize and move files, sort and rename them. And with a free account, you’re given 1,000GB of space…likely more than you’ll ever need unless you’re uploading full-length HD movies regularly. File support is usually an afterthought to those looking to create simple documents. All too often it only really becomes an issue once you run into the digital road block known as the “Unsupported File type” message. No one wants to go through the hassle of then wasting time to convert a file from one stupid extension to another. A decade ago, there were only a few file extensions people relied on for documents, pictures, and videos. Today, that number has greatly increased as different types of media have all sorts of advantages to being saved as one particular file extension or another. But not every piece of software is built to support all of those extensions. Thankfully, Showcase Workshop is, so you’ll probably never run into an issue like this. Compatible video files include: MOV, WMV, AVI, MP4, M4V, FLV, MPG, MPEG. Image support include: GIF, JPG, JPEG, PNG. Document support includes: PDF, PPT, PPTX, DOC, DOCX, XLS, XLSS. Showcase Workshop has a feature labeled “PIN Protect”. PIN Protect allows the person creating the presentation to decide which areas of the Showcase can be viewed by anyone, and which areas require a password to access. For example, say Randy has created a Showcase showing his companies sales figures in the last year. He has bars, charts, and graphs detailing the data. Randy also wants to include raw numbers, but he does not want to risk the possibility of a competitor coming across that information. Randy simply presses “PIN Protect”, next he clicks on “Enable PIN,” and finally he enters in a four digit password of his choosing. Then, after sharing the presentation with his boss, his boss will be required to contact Randy and get that PIN number. Showcase Workshop offers a number of ways to access their program through a small handful of the most commonly used devices on the market today. First and foremost, the simplest way to actually get into your Showcase account is through your internet browser. All current browsers are supported (Chrome, Firefox, Safari, and Internet Explorer). Now, I can’t endorse any one particular web browser, but I will say that Chrome did struggle while uploading media into the media file. The browser would often freeze up and take several minutes to upload and process the new files. In my experience, Mozilla FireFox actually worked really well with Showcase Workshop’s web-based creation utilities. Showcase Workshop has applications available for iOS, Android, and even the Windows Store. The apps come in at just under 8 MB, and should take less then 30 seconds to download if you have high speed internet access. There’s a free app available for iOS, Android, and Windows 8 users. I used all 3 apps, and they all worked and functioned exactly the same – so no worries about logging in with your coworkers iPad and finding your documents unable to load properly. Plus, all presentations will render almost perfectly when loaded cross-platform. The mobile apps proved to be incredibly simple to use. But unfortunately, editing Showcases is currently unavailable on the mobile platform. The person who actually opens an account to create a Showcase automatically has full administrator rights. However for those frequent occasions where a Showcase needs to be reviewed and worked on by multiple individuals, the administrator has the option of deciding who and how much access to provide to the viewers of each Showcase. Take a look at the permissions that are granted to each category of user, from an Admin, to a Workshop user, to a Viewer. When it comes down to it, Showcase isn’t about building a presentation for yourself, it’s about building something for others to see. 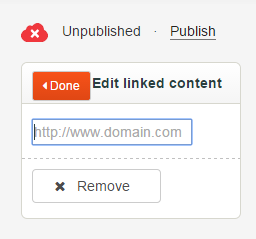 Knowing this, they’ve made it super simple to publish, share and regulate the viewability of the content you create. As a default, your Showcase is shared with all of your workspace users. But you can also elect to share it with only specific groups of users or individual users.. Additionally, you can toggle on/off the ability of users to embed your Showcase on public web pages. There are two types of sharing mechanisms that allow you to regulate the content that’s shared within each Showcase you create. Admittedly the difference between the two is a little confusing at first, but once you try them out it quickly makes sense. 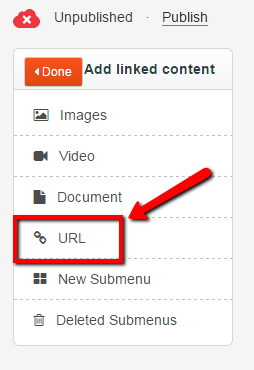 The first is in-place sharing, which allows for the sharing of “currently viewed” documents and background images. This means that members of your team (users) can view these individual pieces of content, and share them at will with other subordinate users as necessary. This is great for a team that’s undergoing some specific training exercises and needs to freshen up on information every day or so. The second is Web Share, which allows users to view the whole Showcase on the Web for a duration of 14 days. Essentially, Web Share is giving each user (granted they have the necessary permissions) the ability to share the presentation in its entirety. So if you’re taking this route of sharing, make sure there’s no sensitive information within any of the slides you’ve created. 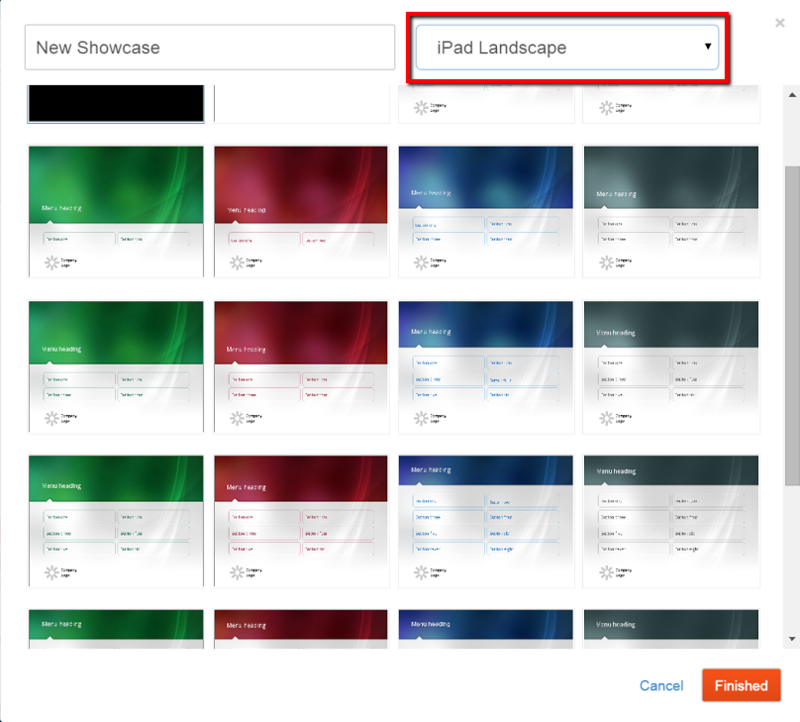 Showcase allows multiple users to view and edit a Showcase. This feature is particularly useful for enterprises that have multiple offices worldwide in different time zones. Plus, let’s say, for example, you need to share a presentation to be reviewed by the manager of your company’s Hong Kong-based team, but you don’t want the manager of the team in Norway to view and edit the same presentation. You can then select individual users that have access to view and edit the Showcase, as opposed to just enabling open access for the entire team. A very useful feature. Unfortunately, users have no way of communicating with others who are reviewing, editing, and studying Showcases through the website. This can prove problematic when instant communication is needed amongst multiple individuals spread across a great distance. Good thing we’ve got text messages. Analytics is everything these days. Showcase Workshop comes with is the ability to track who, how, and when your published Showcase has been viewed. Users can see exactly who viewed their Showcase and at what time. If permission was provided for multiple people to edit a particular Showcase, that too will be shown. Users have a number of options as to how they choose to sort through the data. For example, you can also see exactly how many times a particular Showcase was downloaded and viewed. To get highly detailed data you will need to download an .XLSS form and open it up to view all the content in question. The Showcase Workshop website is loaded with nifty short videos that carefully explain exactly how to carry out and perform every conceivable function you could need to use. Tutorial videos just won’t cut it for you? They have a FAQ page loaded with information that goes through the steps necessary to maximizing your Showcase creation. Finally, on the bottom right corner of the page users will notice a small blue tab labeled “Support.” Click on the tab and a small menu will rise up with a list of assorted functions users might need help with. By clicking on a function, you’ll be provided with a quick overview of how to resolve it. If you cannot find the answer to your specific issue, there is an option to contact support. They’ll get back to you within 24 hours, but usually a lot sooner. I tested it out a few times to confirm that. Showcase Workshop works hard to maintain and upgrade their software. Updates to the software are released about once a month and have usually arisen from a customer requests. If you’ve got some ideas, don’t shy away from contacting their team, they’re very agile. It’s just $20 USD a month per user. Thats less than it costs to watch a movie at a theater in New York City. Showcase Workshop also offers enterprise pricing for customers with 50 or more users. Plans are extremely individualized depending on the actual needs of the client in question. Showcase Workshop is an ace up the sleeve for any marketing team utilizing it to its full potential. If you’re using Powerpoint, whiteboards, or note cards to teach your salespeople what they need to know to be more effective, consider moving to the cloud. For any marketing manager and their sales team, a solution like this is a must-have. But before you make any drastic decisions, first consider your needs, then your resources, and then determine if the proposed solution aligns with your present and future goals.